As first reported by Vicki McKenna on WIBA on Feb. 5, UW offers a class called “Global HipHop and Social Justice,” which aims to study how HipHop has influenced political movements across the world. 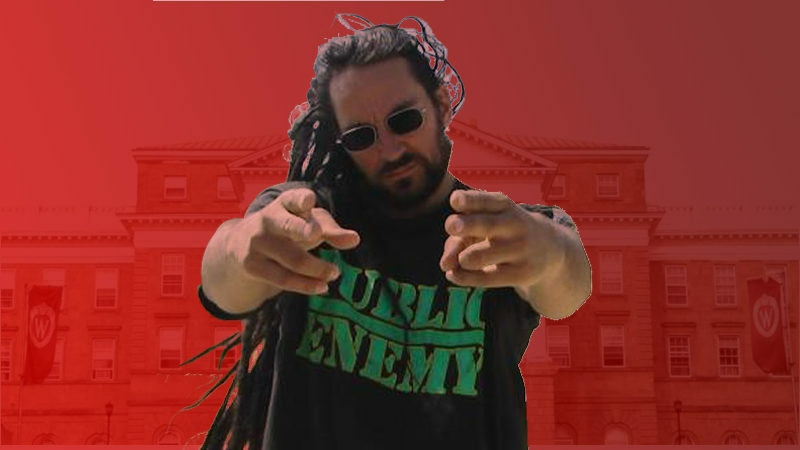 The class is taught by Professor Damon Burchell-Sajnani, also known by his rapper name, ProfessorD.us. Apparently, his rapper name is also a website domain name. ProfessorD.us has been an assistant professor at UW-Madison since Fall 2016. ProfessorD.us also teaches “The Problem of Whiteness,” a course that’s drawn controversy. The class sets out to answer some of the greatest questions facing humankind. Some, however, are not thrilled that taxpayers’ support of the University of Wisconsin system is being used to offer this course. “Why are you paying for it? Why am I paying for it? Why does the Legislature refuse to address this problem?” asked conservative talk radio host Vicki McKenna. A student enrolled in ProfessorD.us’ class shared with MacIver what students experienced during the lecture. This is not the first time that a class at the UW has been questioned as a waste of taxpayer money. ProfessorD.us has worn a t-shirt in class with the words “Not My President” and the Republican Party elephant with Trump hair on it. In addition to exploring the professor’s own political beliefs as expressed in his music, the class also takes an entire week to scrutinize the cultural appropriation of white and non-black artists who dare perform HipHop. Professor Sajnani was paid nearly $78,000 in his first year as an assistant professor of UW-Madison, according to the Wisconsin State Journal database. In addition to his salary, ProfessorD.us receives generous benefits paid for by Wisconsin taxpayers. “This class is an absolute joke. It’s just a platform for Professor Sajnani to whine and complain,” the student said. The mother put it bluntly.